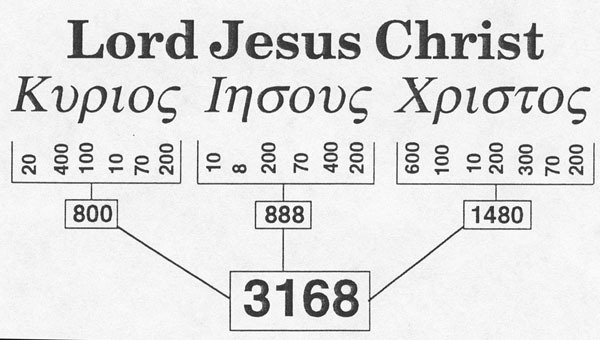 The Hebrew and the Greek languages are "dual character systems", that is, each letter has a numerical value. This is called "Gematria". 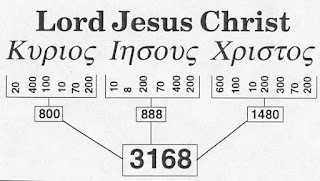 We have seen the hidden messages/proof in the Bible, and the amazing gematria design of it, and you may or may not have formed an opinion as to the validity of these hidden proofs. However, The Word of God has incorporated into it, an astounding numerical system, and like anything made from a plan, shows intricate design, which of course, implies by necessity, a designer. 1. The distance from Bethlehem, where Jesus was born, to Jerusalem, where he was crucified and resurrected is 6 miles. What is 6 miles in feet? 31,680 feet. 2. It takes 220, 000,000 years for our Sun to spin around our galaxy for one galactic rotation. One complete rotation is equal to 360 degrees. 220,000,000 x 360 = 7,920,000,000,000. This relates to the speed that our Sun is actually traveling through outer space as it rides around with our galaxy during a galactic rotation, which is 600,000 m.p.h. 600,000 m.p.h. is equal to 3,168,000,000 feet per hour! 3. 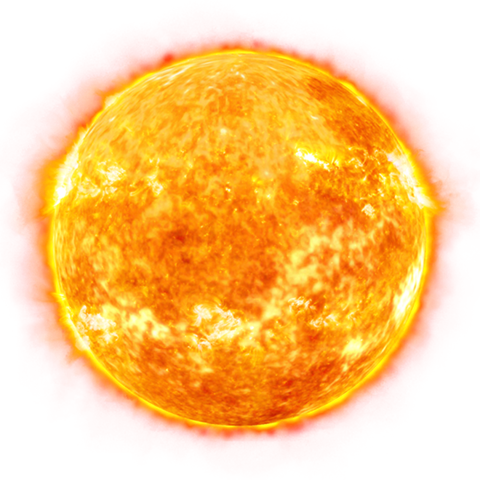 The distance from the Earth to the Sun is 93,000,000 miles. If we were to convert those 93 million miles to inches, and divide by the speed of light, the figure that would result would be 3168. 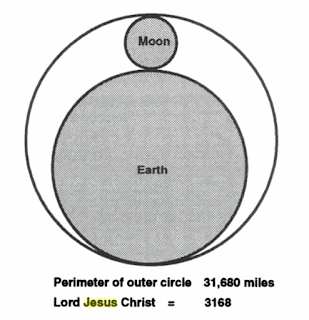 Moreover, if we divide that distance, stated in inches, by the circumference of the earth, the answer would be 2368, which is the gematria for "Jesus Christ"! 4. Only a small portion of the earth is habitable for man. 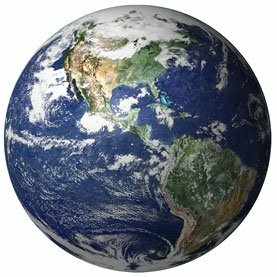 Our home consists of the earth’s crust, known as the lithosphere, and the air we breathe, known as the atmosphere. The total extent of man’s home is 60 miles (vertical). What's 60 miles in feet? 316,800 feet! 5. Bethlehem, where Jesus was born; you may be surprised at the significance of the spot on this entire globe where Jesus Christ was born. Bethlehem sits at 31.68° N. latitude! It is no coincidence! He was born on the Number of His Name. Think those were just coincidences? Check out these other measurements of the planets in our solar system! His number, 3168, is found all over the Creation. The cosmological relationship of some of these ancient units of measure, compared to modern units used today shows the harmonious design of the Earth, Sun and Moon. 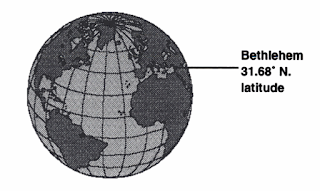 Earth’s diameter = 7,920 miles. 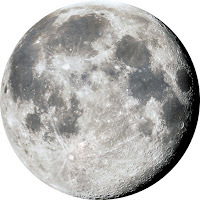 Moon’s diameter = 792 megalithic miles. Earth's radius = 31,680 furlongs. Perimeter of the square containing the circle of the Earth = 31,680 miles. 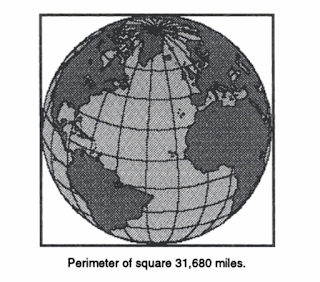 Perimeter of the square containing the circle of the Moon = 3,168 megalithic miles. 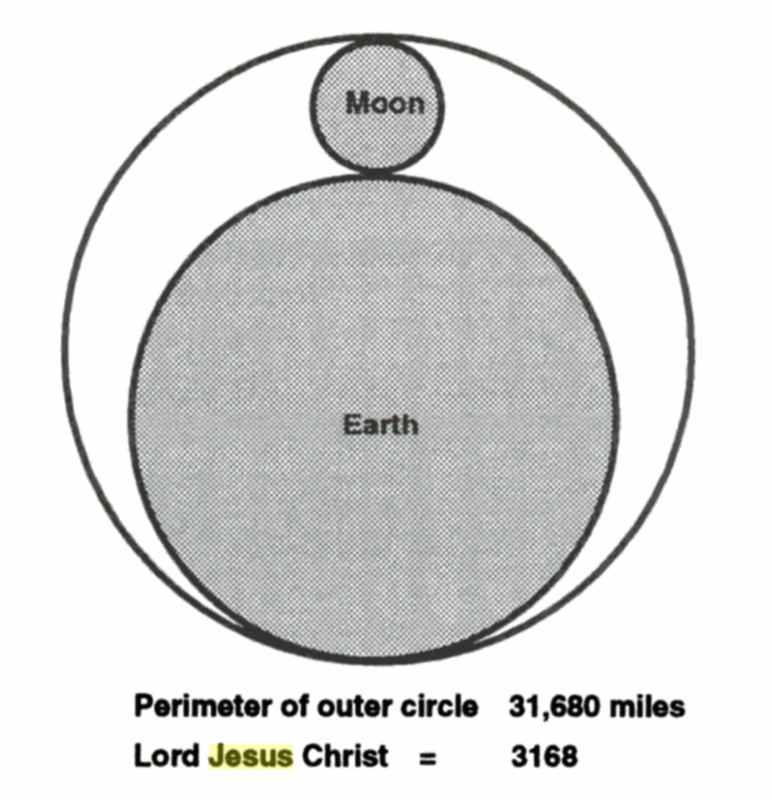 Circumference of the circle containing the Earth and Moon = 31,680 miles. Sun’s diameter = 316,800 megalithic miles. Sun's radius = 316,800 Roman leagues. 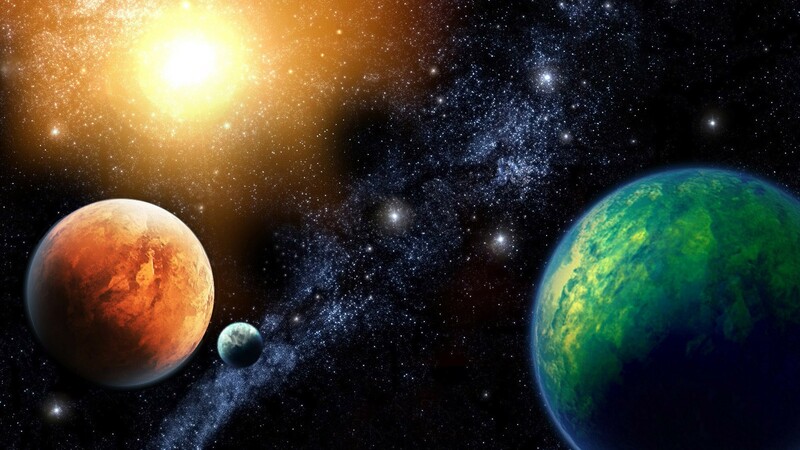 Solar System's diameter = 3,168,000,000 miles. Why are the numbers so inter-related, and why do they point to the number 3,168? 31,680,000 ft. = perimeter of The New Jerusalem. 3,168 cubits = the dimensions for the construction of the Ark that God gave to Noah. 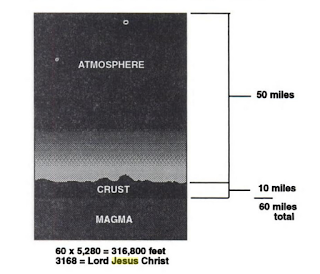 316,800 inches = perimeter of the Cities of Refuge. 3168 inches = perimeter of Solomon's Temple. It is too startling to be blind coincidence! It bears evidence of this verse, that He placed his signature there - the Number of His Name! Truly the Artist has signed his name to all his works! Such evidence of design reveals the unfathomable mind of the Designer. We are humbled with awe and reverence as we look up into the sky on a clear night and behold the works of his hands.